BREAKING: A memorandum of understanding has been struck between the Sunshine Coast Council, SunCentral, John Holland Group and the University of the Sunshine Coast to stake a $200 million claim in the new Maroochydore city centre. 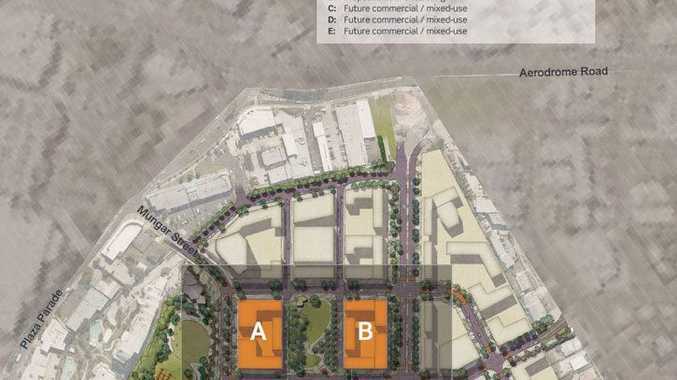 Five 'super lots' across about 1.4ha in precinct three will be transformed into a high-rise civic centre, with the Sunshine Coast Council to establish its council chamber, customer service and office space on one of the five lots at the site. Mayor Mark Jamieson confirmed the council would be a "key tenant". Details of the memorandum of understanding are still to emerge with negotiations ongoing. Deal pushes new CBD ahead. : HIGH-RISE MEGA-PROJECT: $200m deal pushes new CBD ahead. University of the Sunshine Coast vice-chancellor Professor Greg Hill confirmed his institution was also eager to establish a campus in the new CBD, with the development ideal for teaching, research and student accommodation facilities. Reports of strong interest in the project appeared well founded, with Cr Jamieson explaining $450 million worth of construction proposals had been forthcoming through expressions of interest in the 35 blocks taken to market. Cr Jamieson said the council was always going to be a "key cornerstone tenant" of the new CBD. 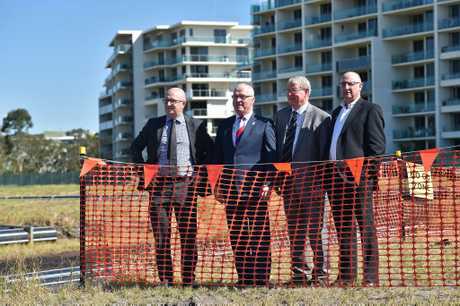 He anticipated construction would begin next year on the first significant stage of the new Maroochydore town centre, which was expected to include $7-$8 billion worth of construction in total over the life of the project. 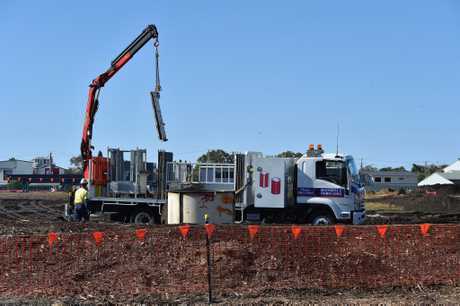 John Holland Group's Queensland and Northern Territory project director for development and investment, Chris Mattes, said the new airport's arrival and the rise of the new CBD had encouraged them to forge a presence in the city centre. University of the Sunshine Coast is also set for a presence, with a building opposite the proposed new council building. Vice-Chancellor, Professor Greg Hill, said the institution was eager to have a presence in the city centre, identifying it as a good opportunity for a new campus with teaching, research and accommodation facilities. 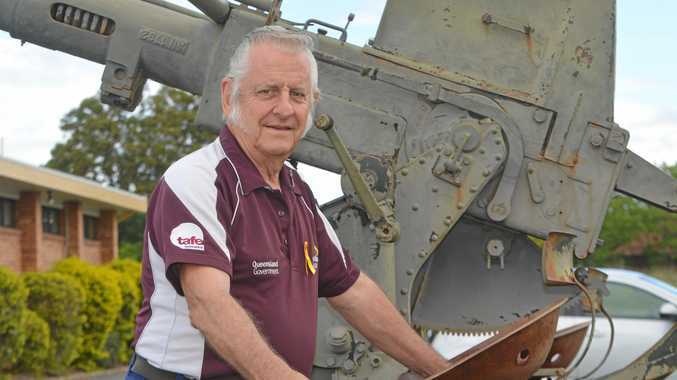 News To Les Johnson, Anzac Day is about remembering the many lives lost during the wars, including those of service animals. Vote: Should passengers speak up to drivers using phones?